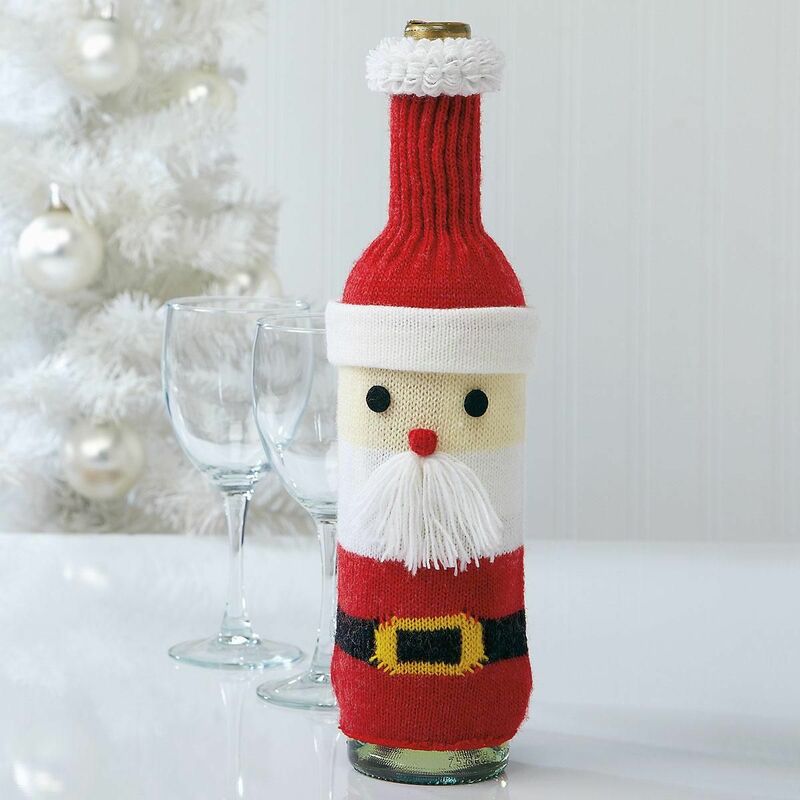 Nobody can cover a bottled gift in merriment the way Santa can! Knit polyester; 12" tall; machine wash. Fits a standard wine bottle. Imported.